The progenitor is marked, the field is 180" x 180". 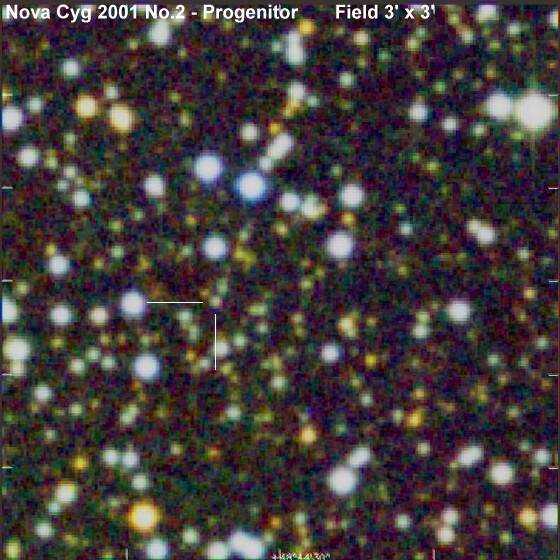 Next an image with my first nine visual observations of the Nova, starting 20.08.2001. The Nova is gradually fading.